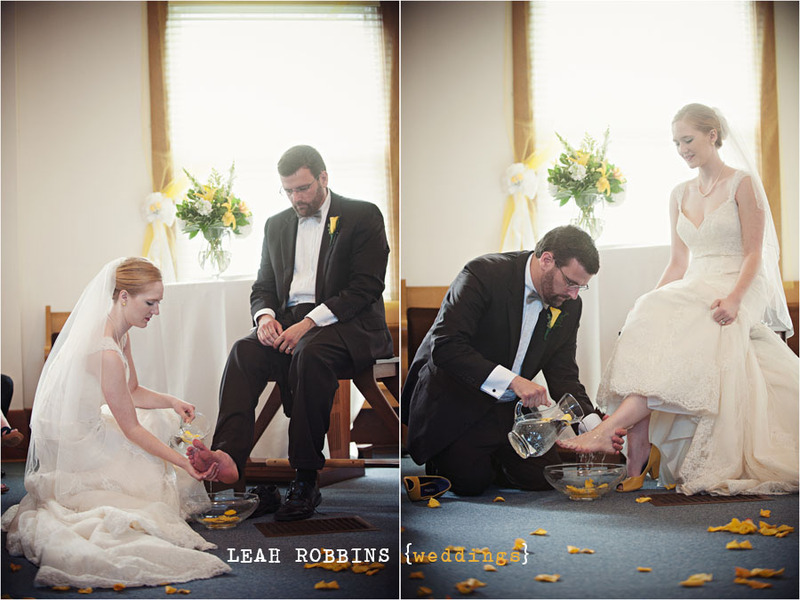 We were inspired to have a foot washing ceremony at our wedding, and the photo has been shared thousands of time. My husband and I were very blessed to have a family friend and excellent photographer document our wedding in the summer of 2013. I excitedly shared several pictures of our special day on Pinterest for the inspiration of other future brides. This photo, in particular, has been particularly popular with thousands of repins – several hundred shares from my original pin and thousands more on other people’s pins. Have you been to a wedding, your own or someone else’s, that had a unique feature?